execution of field tests assigned to a focus group to test the results of the project. Within the ASVD project CEDEO.net has developed the end-to-end system depicted below. This organised as a client-server architecture, every component of which has been developed based on the ISO/IEC 23006-2 MPEG eXtensible Middleware (MXM) API standard. 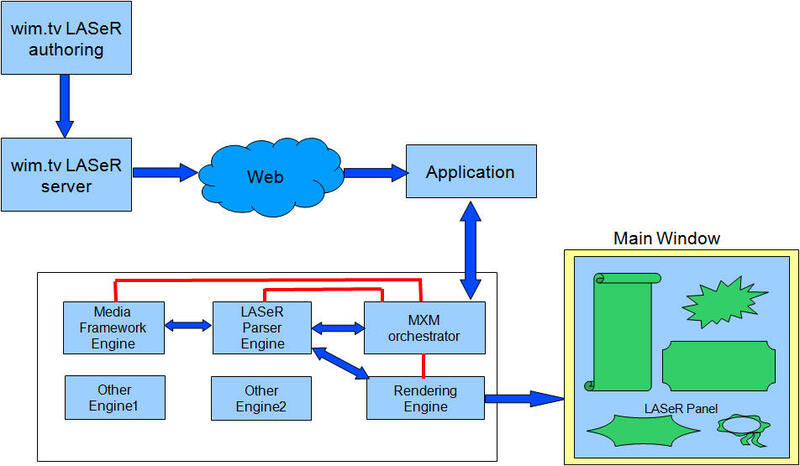 The ASVD subsystem handles resources represented by means of the ISO/IEC 14496-20 Lightweight Application Scene Representation (LASeR) standard throughout its life cycle: template-based authoring, storage, search, streaming and consumption.